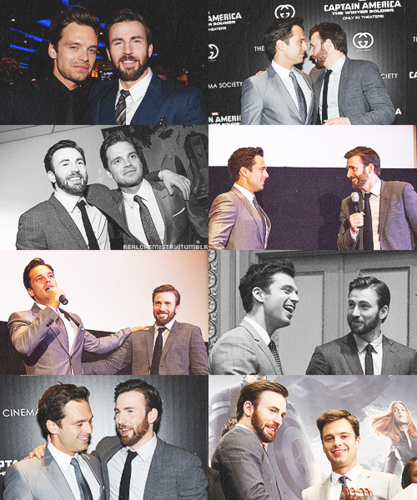 Sebastian Stan and Chris Evans photoset. . Wallpaper and background images in the Chris Evans & Sebastian Stan club tagged: sebastian stan chris evans evanstan premiere photoset collage. 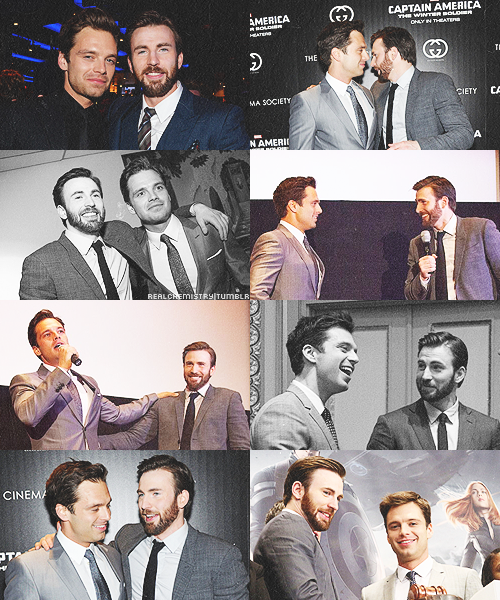 This Chris Evans & Sebastian Stan photo contains کاروبار سوٹ and بزنس سوٹ. There might also be لباس سوٹ, مکمل لباس, tailcoat, پونچھ کوٹ, دم, سفید ٹائی, سفید ٹائی اور دم, تالکوت, دم کوٹ, سوٹ, کپڑے کا سوٹ, and کنسرٹ.